Ready to go Treat or Treating in the Hallo-Win bingo chat rooms this week (October 24th-31st)? Play the ‘Trick or Treat CASH’ games Reeses, Candy Apple, and Snickers, these are paying OVER $5000 in GUARANTEED CASH in the Canadian Dollar Bingo main rooms. Bingo on the special patterns while in chat and claim $5 BingoBucks extra by yelling ‘Trick or Treat’ before the start of the next game. Plus! Be on the lookout for spooky words popping up unexpectedly in the main room chat, be the first roomie to come up with a sentence using that word to win a $5 BingoBucks extra. No tricks just treats in chat! 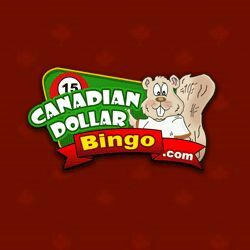 Celebrate Halloween and hallo-win this week at Canadian Dollar Bingo.